In fact, in our trading room on Tuesday afternoon, we sold our short-term long positions in the metals into that last rally, and many aggressive traders among us even initiated short positions that afternoon. A number of subscribers seem to have made in excess of 500% profits in their short positions in just one day, based upon some of the notes sent to me, not to mention the multiples that we made since we called the bottom of the market at the end of 2011. However, from many of the reports that have been posted over the last week, it seems that many other people mistook this move up in the metals as a breakout of some sort, and many initiated larger position in the metals expecting further gains ahead. This is exactly the type of market psychology I warned against in the first article that I published on MarketWatch. But for now, let's look where the most likely buying point would be for the current correction. At this time, it seems that we may have completed a b-wave in a wave two corrective action. If the b-wave high is in, then we have two levels presenting strong confluence. In the silver futures, the 33.26 region represents both the .382 retracement level and where the c-wave would be equal to .618 times the size of the a-wave. Second, the 31.90 region represents the .500 retracement level, and would be where the a-wave would equal the c-wave. 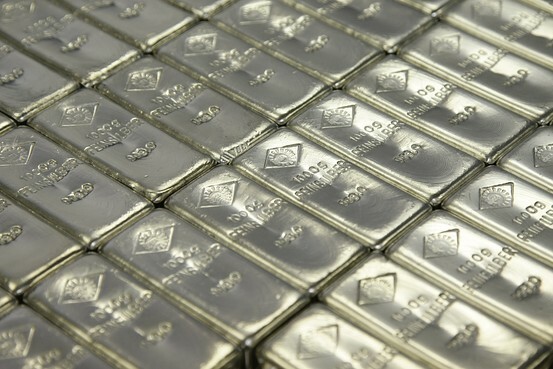 Therefore, for those who are looking to enter the silver market, the 31-32 region in the futures would be the ideal point to enter or add to long positions. Again, it has yet to be determined if the market will exceed the prior highs of 2011 or will top out at the 43-46 region. If the pattern confirms such a top, it would present a shorting opportunity which would take silver back down to the 22 region. Again, the market action in March should provide the appropriate guidance as to which pattern is playing out.